We did something scary. 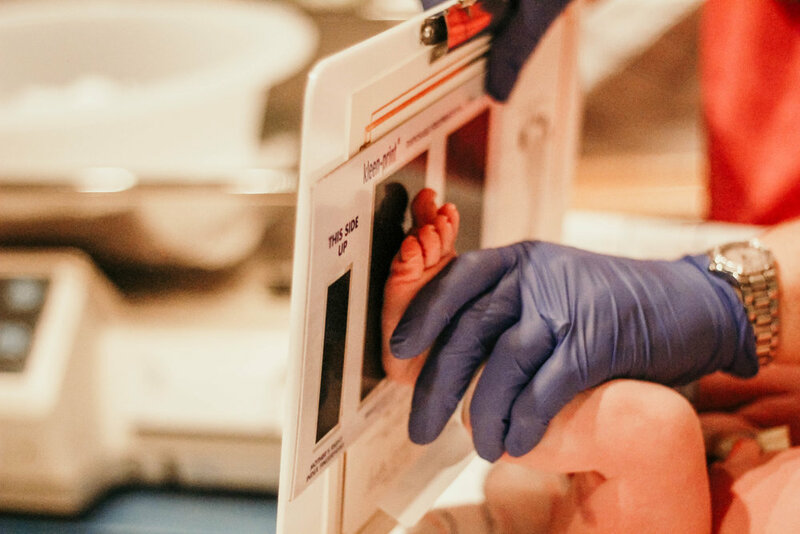 — Nicole & Co.
Today, I want to use the reality of a new baby in a friend group to talk about something a little deeper. I want to talk about how to make, foster and grow these friendships so that things like this even get to happen. So often, the biggest struggle as a mom is the feeling of isolation, loneliness and the sheer act of being alone with non-adults all day, every day. When I got pregnant with Joey, I had a group of insanely close and loyal friends. None, and I mean none, of which had babies or were planning on having them anytime soon. Adam and I were the first ones. What followed this was as heart wrenching as it was a blessing – those friends faded, and fast. Not because we didn’t love each other. Not because we didn’t still want to spend time together. Simply because life as a mom completely negates the life you had before, in all the best ways. You come home with a baby and you are new. Your life is new, and the old ways of doing things not only don’t work, but you have forgotten how they worked to begin with. And so, those friendships change, at first. And then they start to feel distant and not as intimate. And not long after that, you haven’t done anything with them in months and they’ve only met your son once, and he’s now 2.5. We are put in this terribly scary place of not only getting to know this little 7 pound bundle of non-sleeping joy, but you’re alone while you do it. And no one else around you is going through the exact same thing. And you so badly want someone to know what this feels like, but all they can do is nod their head and offer you more water, or coffee, or to hold the baby you actually don’t want them to hold. Getting up and changing this place I was in was the hardest thing in the whole freaking world. It was so hard. I didn’t know how to put Joey in the carrier very well. He didn’t even really like it. He spit up the entire time. My whole body hurt. I squatted and thought my innards were going to hit the floor. He cried. I cried. I sweat through my shirt and through his shirt and sweat stung my eyes and dripped down on top of his head. I could only lift a small sandbag. Nothing like before. Where had my muscles gone? I bled. I remember thanking myself for wearing a pad, even though I didn’t think I would need one. And when it was over, and I felt defeated and still alone and wondering why I left the house FOR THIS, she walked over. You guys, she said these words. She made the first move. She was the most intimidating person I have ever known. I had watched her, for months and months and months before, in the advanced class, far from my beginner/intermediate class I stuck to. She did pull-ups unassisted and lapped me when we ran. She had the most gorgeous tattoos, and eyelashes that basically hit the sky. And now she was 8 months pregnant, in the Moms class at the gym, no longer able to do an unassisted pull-up and getting ready to pop out a child soon. Just like I had done weeks earlier. All this to say, 2 and a half years later, I watched, encouraged, and photographed her birth her second baby. Her love language is touch. She purple shampoos her hair once a week. Her daughter, Madi, wakes up every night between 1 and 2 and comes to her bed. James calls me a dork, and it means I’m in his tribe, now. Zoe is her favorite dog and Ashland once knocked over Madi and almost broke her nose. She has a mole in a place she won’t talk about and her elephant tattoo on her foot is named Fiona. I went to the gym that day. Tasha introduced herself. Kasey invited us on a hike (which I flaked on… I bet she understands now). And Amy gave us advice on how to navigate the newborn days. We all sat there, on the gym floor, with brand new babies, and just started talking. Kasey was leaving her job to stay home. Tasha was missing her husband who was gone fishing. Amy was trying to get pregnant again. I was trying to figure out how to work in the studio with a newborn. We had different, very different, struggles. But we were no longer alone in them. We have not been apart since this day, and it’s the best thing that has ever happened to me (and them, I assume). And then, after the third one of us had her second baby (I’m next, and the last one, apparently), we all gathered around and cheered her on, in the room, together, with her husband. Because if we are honest with each other, the bond the four of us share is that close – husband kind of close – and it’s the most intimate relationships we have. We share bodies, sometimes. In the gym, during labor, getting our eyebrows waxed and holding hands at the pumpkin patch. We know each others’ love languages and DO THEM. Watching Tasha give birth was the most intimate experience of my life. Even more than my own birth. The vulnerability that comes from birth now matches the vulnerability we all have together, as friends. We were, and are, raw, exposed and vulnerable, and were, and are, there for each other in every single moment of it. This is something that, as it seems, cannot exist without having children together. At least for us. Our children, the seven of them, is what ties us. Growing them, birthing them, and raising them – together. 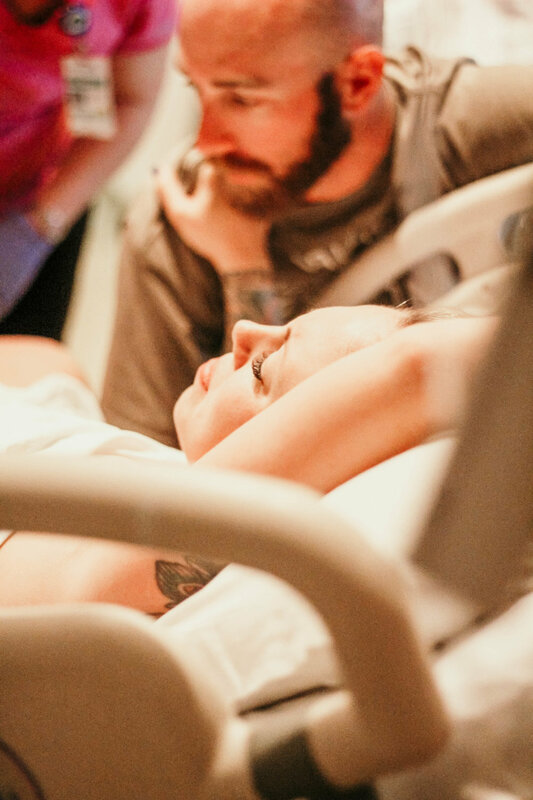 Tasha’s birth story is for her to tell, but she blessed me beyond words with the privilege to document the process, and share it with you. 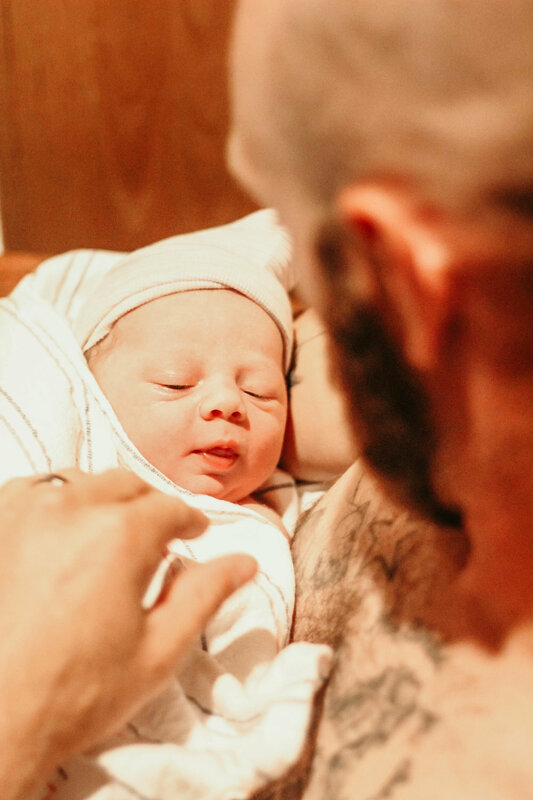 Scroll through the whole gallery for the sweetest little glimpse into Sawyer’s first moments earthside.